Ankle deep in mud & it just stopped raining. You are buried, breathing in the clean, sparkling rain fresh air. The torn muddy grass drifting through the air as you drink it deeply. And now that crisp white dress, so soft against your skin, so pure in a sea of earth, isn’t so white. Not anymore. No. Now it’s one with the ground. One with the grass. And somehow, it still works. Somehow you make this work. Somehow it’s better. Nature and fashion colliding in a frenzied sea of beauty. It’s a festival of fragrance. It’s big. Too big for some. But not you. Let yourself go with playful tangerine and heart of freesia, all wrapped in the warm musk of dry down. It’s fresh. It’s bright. It’s totally you today. Tomorrow. Any. Single. Day. You. Want. So go out there and be you. Go out there and trust your Impulse with the new Body Mist range of fragrances. Spray. Tick. Citrus? Tick. Everything you need to be the best version of you. The best woman you can be. The best. Full stop. 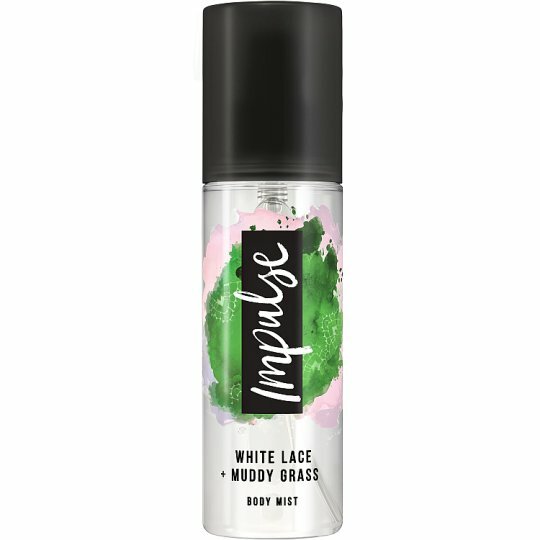 Discover the new Impulse Body Mist range. Pop the top and spray where you want, when you want. Trust Your Impulse.